Today I am guest posting over at Blonde Episodes. Please stop by and check out my Christmas in LA post! 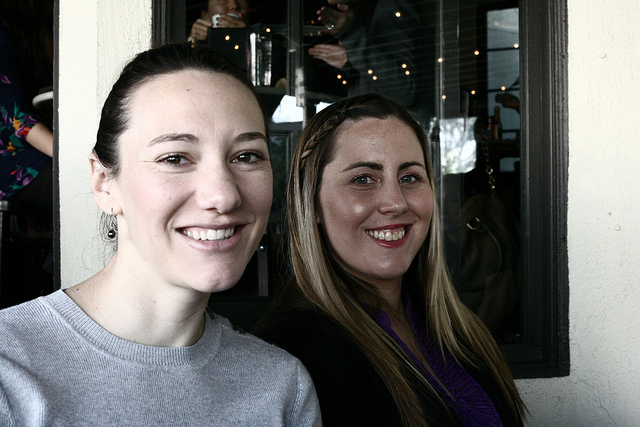 The last few days I have been lucky enough to do two blogger meetups. One was with Claire of Bicoastally last week while I was vacationing in San Francisco and the other was this weekend in Los Angeles hosted by Joelle of Something Charming. And take a look at what I ordered. Bottomless mimosas for $14 and the porcini mushroom omelette yum! As for my meetup with Claire, it was more of a reunion. I met Claire in person earlier this year and we really hit it off and bonded right away. She's amazing and I highly recommend you check out Bicoastally if you aren't familiar with her blog. Since I was in her neck of the woods we went to a restaurant that she recommended, farmerbrown. It was the perfect Southern meal. I ordered the ribs and a side of cheese grits and really enjoyed it. But even more than the food, I enjoyed my company! It was like Claire and I were old friends that had never been apart. Looking forward to many more meetups with these wonderful ladies in the future! that brunch looks amazing...bottomless mimosas are the best! Leeann, it all looks like such a wonderful time. 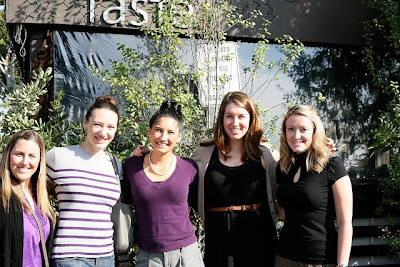 It's so nice to be able to meet the people you blog with daily. Fun! So fun!!! I’ve got a few new blogs I need to go check out! How fun!! I live in LA, too, and would love to join in next time! It was SO great to meet you! Can't wait for the next one! :) And I thought I was already following you....I fixed that now! Yay, for blogger meet ups! They are the best things ever! We still need to meet up at some point! you know what? you and claire even look like old friends. makes my heart smile. All of this looks so delicious! Thanks for sharing. I'm loving your blog! How fun! 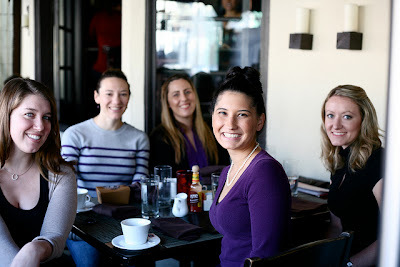 I love blogger meet-ups, it's always so much fun to hang out and talk versus reading about what's going on. Looks like an amazing get-together. 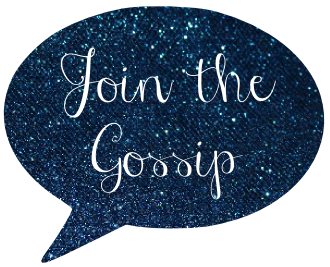 I need to get together with some fellow bloggers soon! Aw, this looks like such a blast! You look darling. Both of these meetups look like a blast and I just know what great company you would be. I remember you talking about Taste on Melrose before and I was drooling over the Mac n Cheese. Bottomless mimosas don't sound bad either! I love your cute hair braid! I swear your hair always looks gorgeous.